I recently attended two events held in what I knew as the 14th and U Streets corridor – the Dog Days of Summer in August and about a month later, Fashion’s Night Out. The vibe of these events, the display of unique items from both clothing and home décor boutiques, made these memorable shopping excursions. Who was organizing these popular events? I traced it back to the MidCity Business Association (BA). MidCity BA represents businesses on the commercial corridors that stretch down 14th Street from Florida Avenue to Thomas Circle and along U from 9th to 17th as well as several side streets way beyond the 14th and U district. Many don’t know that MidCity is actually a historical term for this collection of neighborhoods dating decades back. Over the past few weeks, I spent time with a few of the boutique owners, as well as Natalie Avery from the MidCity BA, to better understand the neighborhood and community (and was able to sneak in some shopping too!). As a life long Washingtonian, it was a great experience to learn about the rich history of this neighborhood and the strong sense of community that still exists there today. The MidCity BA formed in 1998, coinciding with the opening on the Green Line metro stop U Street/Cardozo/African-American War Memorial. Their mission addresses key concerns that effect the health and sustainability of the neighborhood, such as parking, rising property values, public safety, street maintenance and beautification, along with developing and implementing marketing campaigns to attract local, national, and international customers. There is a beneficial symbiotic relationship with the restaurants, art and music venues, independent boutiques and home décor retailers along with large brands like Whole Foods, Ace Hardware and Mitchell Gold + Bob Williams that has boosted MidCity as the ultimate urban destination. The MidCity BA’s gritty and loyal nature to the members and dedication to improving the city forced me to love this area even more. If you love to shop, today MidCity is a hub of eclectic clothing stores with local independent designers and not-your-find-everywhere designers. 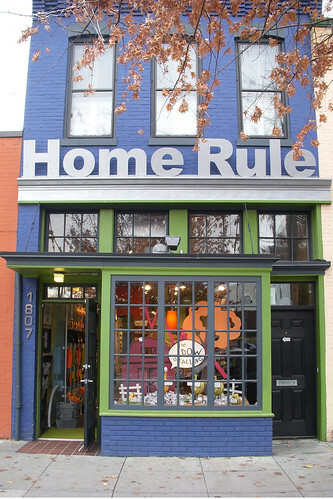 There are over 20 home decor shops and 15 independent clothing boutiques not to mention over 70 restaurants and bars. 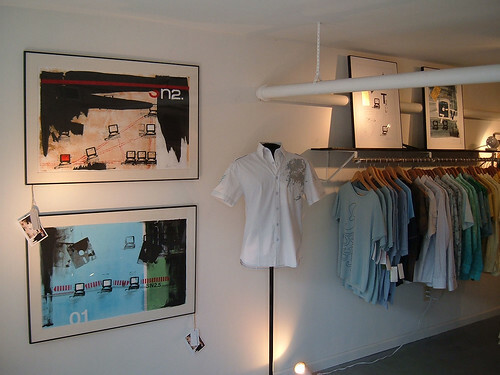 Caramel Boutique first opened in 2006 offering unique clothing and accessories for men and women, featuring international, national and local designers. The owner, Sarah Watkins, also uses the space to showcase work by local artists in the U Street community. Watkins who works 3 days a week at a non-profit, the rest of her time at her boutique, and is also a long time resident of MidCity. Passionate about her business and the neighborhood, she is a member of the MidCity BA but also meets regularly with other women store owners in the area. She emphasized the importance of community, an example being the “wildly successful” men’s shopping event hosted at neighboring home décor shop RCKCDY (pronounced rock candy), where Caramel clothing was for sale too. Watkins talked about popular events like the nationwide Fashion’s Night Out, a global initiative at major cities held on September 10, 2009 aimed at promoting retail, restoring consumer confidence, and celebrating fashion. The MidCity BA in conjunction with Great Washington Fashion Chamber of Commerce coordinated the marketing efforts in bringing the event to DC. MidCity was the only shopping district in DC that celebrated Fashion’s Night Out, offering spirits and staying open late. Customers came “in droves” and stayed out as late as 11:00pm shopping. In addition, Watkins believes, it brought customers that had not shopped in her store before. Redeem is a clothing store providing bold and unique casual wear, with hard-to-find men’s and women’s luxury brands both established and new. After talking with the store’s owner Lori Parkerson, a native Washingtonian, it is no wonder Redeem’s mission is to be an involved, responsible neighbor in the community contributing to the on-going revitalization. She too is personally invested in the success of the neighborhood and made a deliberate decision to open her store in MidCity versus the more established shopping district of Georgetown. She carries local designers like deNada and Plastic Heaven. Parkerson credits the MidCity BA’s “cohesive marketing plan to brand the neighborhood” as a positive vehicle to foster partnerships within the community. According to Parkerson, the success of Fashion’s Night Out was that the stores stayed open late. Many of the boutiques regularly close at 7:00, and she often wonders about the potential customers that could come in after work and the crowd visiting the neighborhood for the great nightlife and restaurants. 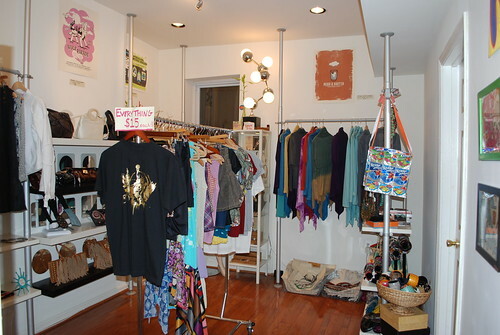 Another great independent shop in the area is Dekka, a 2 story co-op of mostly local designers, artists and retailers. 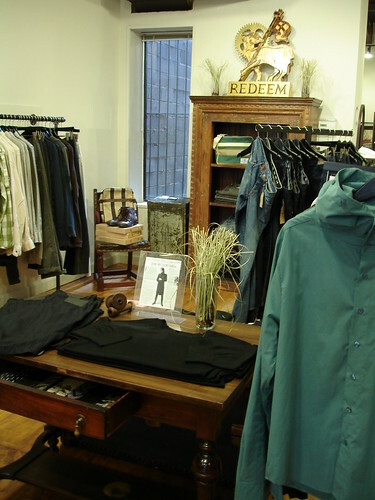 The owner Joshua Tinkin and his wife and clothing designer Luciana opened the store in April 2008. “A lot of things wanted to happen in fashion and in DC and we now have a place for them,” says Joshua. Dekka currently has 15 members that design everything from clothing to handbags to jewelry and home décor items and all are for sale at Dekka. When Dekka first opened, it was the owner of neighboring Vinoteca Wine Bar that gave him a case of wine for his opening party. They have since worked closely on a variety of events. This sense of community also thrived in the past year, where due to the recession many individual boutiques struggled to keep their doors open. MidCity BA stepped in and coordinated advertising with restaurants, which were not hit as hard as the retailers. Restaurants like Café Saint Ex sponsored advertising that not only promoted dining but also the neighboring boutiques. Rice Restaurant gave their customers a card with their receipt after dining. The card was good for $5 at Rice when you spent $50 at one of 5 participating local boutiques. Beyond talking with these business owners, I witnessed the close-knit community first hand – I was invited to the MidCity BA’s monthly members networking happy hour. This festive and well-attended bunch of about 40 managers and owners met at Café Saint Ex – which also houses the MidCity BA’s offices. It is because of successful events like Dog Days of Summer and Fashion’s Night Out that MidCity BA has revived Third Thursdays launching tonight, November 19. Boutiques like Nana will donate $1 for every pair of mittens, gloves, or scarves sold to Martha’s Table (one of the few not for profit MidCity BA members) and offer 15% off their merchandise. Like Fashion’s Night Out, many boutiques will stay open late. Natalie, the Marketing Director from MidCity BA, recounted a funny story from Home Rule: a potential customer called them and said “I am at the corner of 14th and U and I can’t find you.” They are located at 14th and S. Explore this neighborhood and vibrant community known as MidCity beyond 14th and U. For more details on the neighborhoods that are part of MidCity check out Shannon’s overview and history of Shaw and Logan Circle. There’s also a full listing of shops in MidCity. Kelly Collis Fredrick is a life long resident of Washington, D.C. and is the publisher and founder of CityShopGirl, delivering daily discounts and promotions to D.C. area retailers, restaurants, spas, specialty stores as well as ecommerce sites. I never really thought of fashion this way but after reading all that I can understand where you’re coming from.